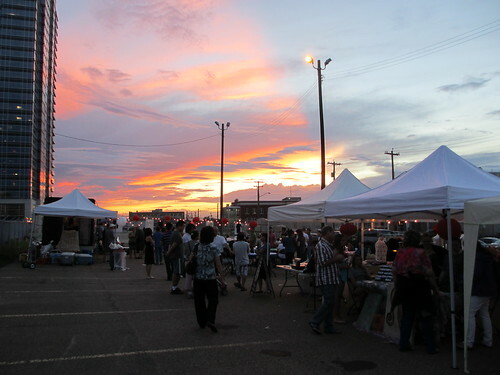 97th Street Night Market Wrap-Up! 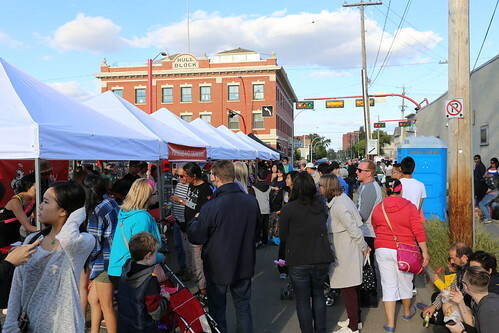 The 97 Street Night Market hit the streets of Chinatown on Saturday, August 23, 2014, to happy crowds and sunny skies! 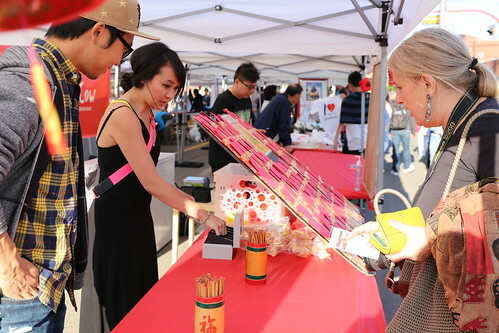 We had set out to build on the strengths of last year’s inaugural market and showcase the vibrancy and cultural richness of Chinatown. With the steadfast support of our sponsors, vendors, performers and volunteers, we were able to make it an event that succeeded in these ways and so many more. 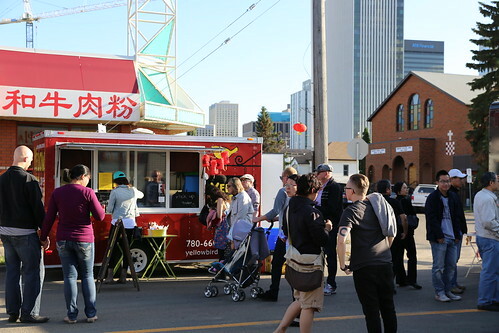 Thank you to our event sponsor, the City of Edmonton, and to our sponsors-in-kind: Chinese Benevolent Association and ASSIST Community Services Centre. Fortune sticks were a hit! Thank you to our amazing performers and artists: Rory Lee, Shang De Martial Arts (a.k.a. 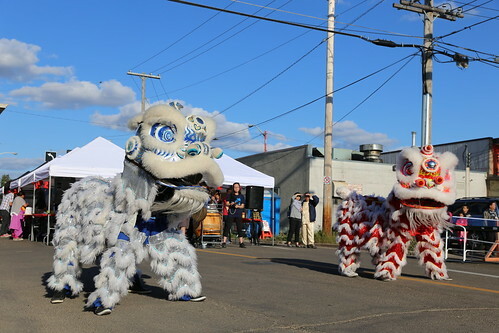 Ross Sheppard Lion Dance Team), Red Dragon Tai Chi Club, Vivian Tao, Sung Lee Taekwondo Demo Team, Rise to Beat (or R2B), and Convergence Dance Crew. 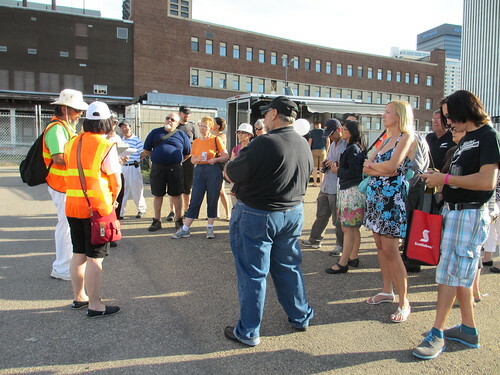 A huge thank you to our wonderful team of volunteers, including our dynamic walking tour leaders: Wilson Wu, Judy Wu, Lan Chan-Marples, Peter Wong and Paul Giang. Be sure to catch up with Wilson and Judy and stock up on some ready-to-heat foods at their Wild Tangerine Urban Cuisine booth at Mother’s Market! Finally, thanks to all who attended and helped make the event a success! Stay in touch! 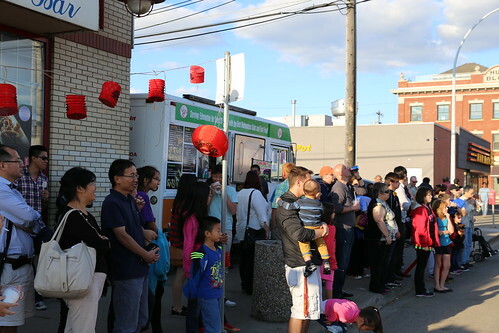 For updates on our happenings, follow us on Twitter (@YEGchinatown) and find us on Facebook. As you all know, no event is complete without taking a set of silly photos! This year, we are lucky to have Sunny Snapshots join us to help you capture those moments! Remember to drop by the booth and have your photos taken (props seen in photos will be available for use on site) and printed free of charge. 97 Street Night Market Performers! We’re excited to finally announce our schedule of performers at the 97 Street Night Market on August 23, 2014! We’ve gathered a great mix of talent from the community for an evening that honours traditional cultural arts and embraces more modern sensibilities. Performances take place every half an hour. 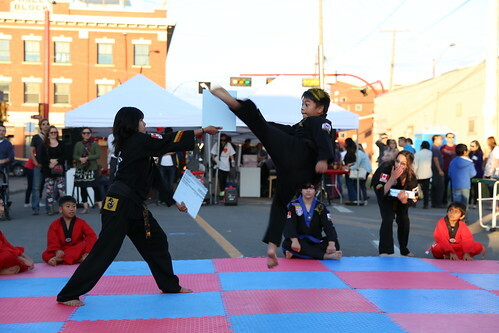 7:45pm – the Sung Lee Taekwondo Demo Team will show us their equivalent of Street Fighter moves. Stay back – you’ve been warned! 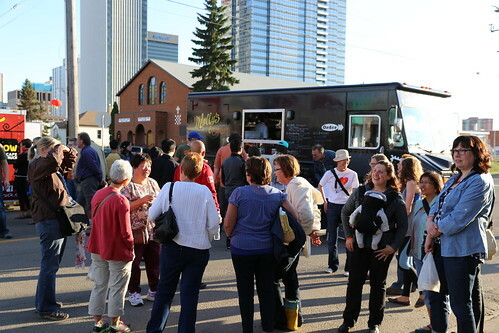 This year, we’re excited to welcome back to the Night Market vendor list, Holy Cow! Popsicles & Ice Cream Bars! You may already be familiar with Holy Cow!’s line-up of unique real fruit popsicles and ice cream bars, which have been a hit since they debuted at local farmers’ markets last July. The man behind Holy Cow!’s creative brand and product is first-time food entrepreneur Lee Wing Ho, who combined his passion for ice cream and cooking, and started making his own frozen treats as a hobby. His products were so popular with friends and family that they encouraged him to open up a farmers’ market booth, and thus Holy Cow! was born. Come by the market this Saturday to try one of Holy Cow!’s Lychee, Durian (ooh! ), Black Sesame or Red Bean ice cream bars. If those don’t float your boat, there’s also Mango, Strawberry, Pineapple, Blueberry, Raspberry, Honeydew, Cantaloupe, Vanilla Bean, Lemony Lime, Cherry, Avocado, Peach, and possibly more! 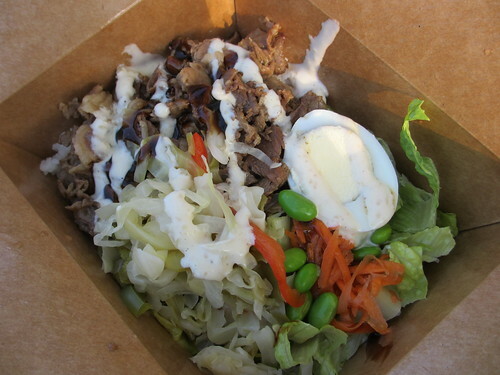 One of the highlights of any night market is the food! 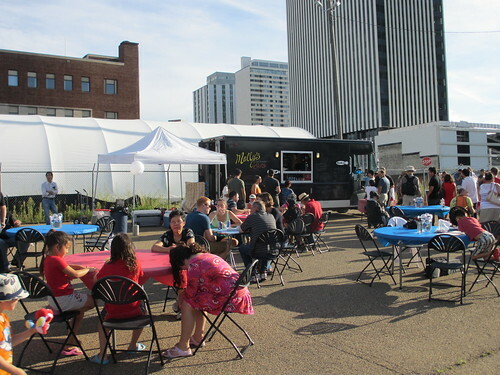 On August 23, 2014, you can expect tasty Asian-inspired treats from several food trucks, as well as some specialty items from local merchants. It’ll be hard to narrow down your selections! We are also happy to have a variety of desserts from Shan Shan Bakery (buns and cookies), Ying Fat Tofu (their famous dessert tofu) and Holy Cow (fresh fruit popsicles). Make sure to come with an empty stomach! In Chinatown, celebrations require food, and food requires tea. Lucky for us, Cally’s Teas will be joining us for the night, offering an array of imported and house-blended loose leaf teas for sale. In case you aren’t already acquainted, Cally’s Teas is a gem of a tea shop in Old Strathcona, owned and operated by Cally, a self-professed “crazy tea lady”. 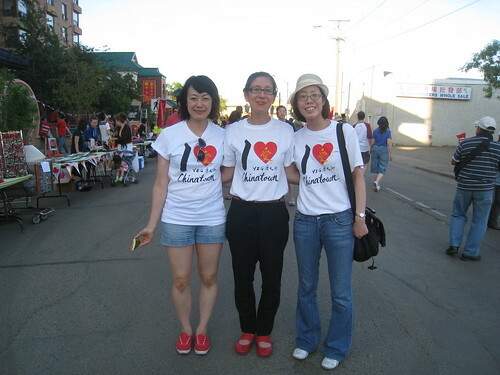 97 Street Night Market Walking Tours! All tours will meet at the information tent.